Nintendo, unsurprisingly, to publish the Switch version in the west. Dragon Quest Builders 2 is coming to North America and Europe in 2019. The news comes via Nintendo’s supplementary information sheet for the six-month period ended September 2018, which mentions that it will publish Dragon Quest Builders 2 in North America and Europe in 2019. 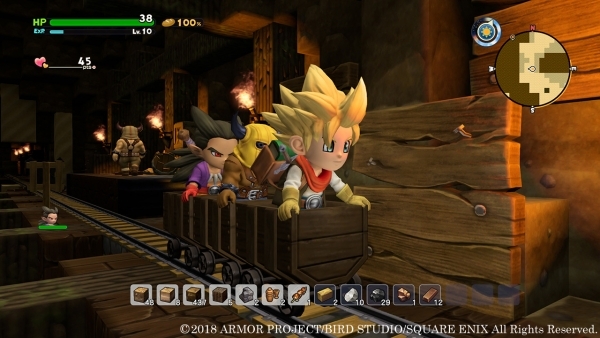 Dragon Quest Builders 2 is planned for release on both PlayStation 4 and Switch on December 20 in Japan. While Nintendo is listed as the western publisher in today’s press release, it should be noted that the company publishes the Switch versions of all Square Enix titles that warrant a retail release. Square Enix will likely handle the PlayStation 4 version in the west itself. If you missed it yesterday, read the latest information about the game here.